Its 4:30pm. Your four year old who is in the process of giving up naps has skipped todays afternoon nap and has fallen asleep on the couch. You are attempting to wake him up and get him to take a bathroom break since it’s been a few hours and you would prefer not to clean up an accident on the couch. He is crying and protesting deeply that he couldn’t possibly use the toilet. Meanwhile your nine month old has suddenly discovered how to open the kitchen cabinets. In between smearing and crunching an entire box of Cheerios across your floor, he is falling over backwards, banging his head, and crying wildly. Oh by the way your husband just called to say he’s got to work late tonight…really late. You haven’t yet planned anything for dinner, your pretty sure you won’t figure anything out soon, and the kids usually eat at 5:30. Whats a savvy (if a little desperate) Mom to do? 15 minute dinner solutions to the rescue! These are kid friendly recipes from around the web that can help you pull together dinner in 15 minutes or less, because we’ve all been there right? I suggest taking a look at some of these right now because most of these are so easy that you really won’t need a recipe once you have the idea in your head so when emergency strikes you can pull dinner together on the fly. Fried Rice, from me! 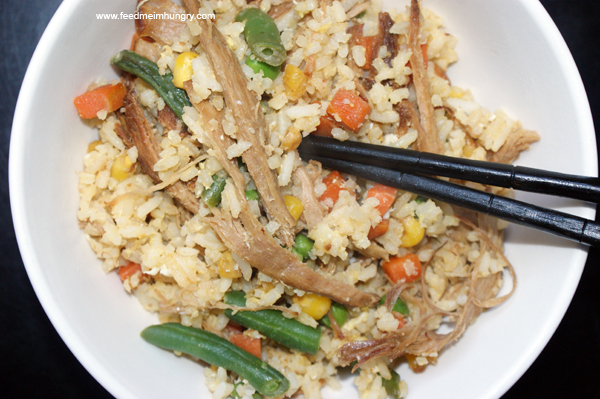 This relies on leftovers to make it quick. It is also a great way to use up little bits and pieces of whatever. (You know how you get like three bites of meat left or 10 peas…) So you pretty much need cooked rice, whatever leftover meat and veggies you have in the fridge (frozen veggies work fine too), eggs and oil (sesame or canola tastes best). 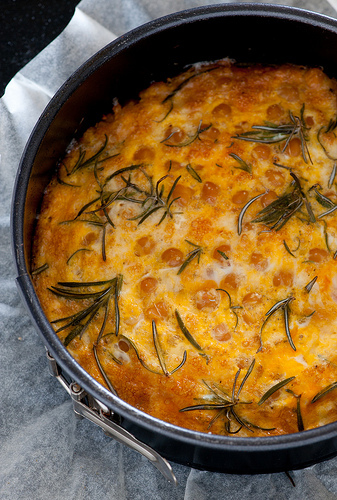 Heat up a large pan with oil over medium-high heat. Toss in your veggies and meat and give em a quick saute. Add your rice and give it a few moments in the pan to heat up. Keep stirring. Crack your eggs into the pan right over the rice and stir them in fast. Give em a minute to cook and presto! Dinner! Your favorite Asian-esk seasonings and condiments are always a nice addition. Think ginger, soy sauce, Sriracha. Pretty much the only ‘measurement’ you need to know here is that you want aprox. 1 egg for every 1 cup rice. 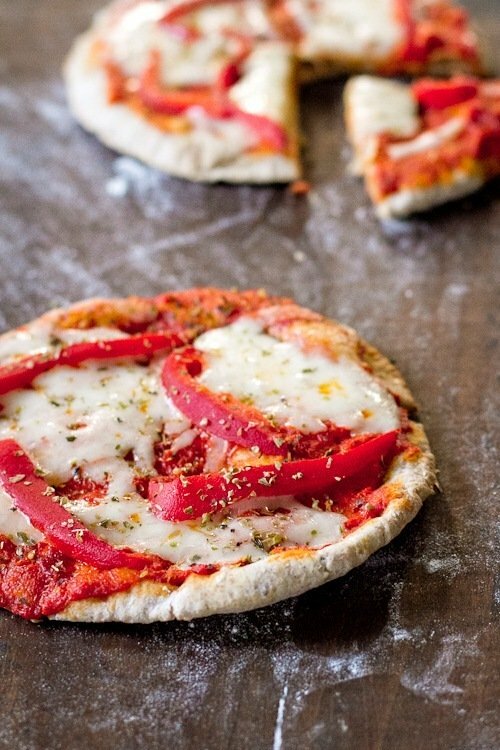 Roasted Red Pepper Pita Pizzas, from a couple cooks. 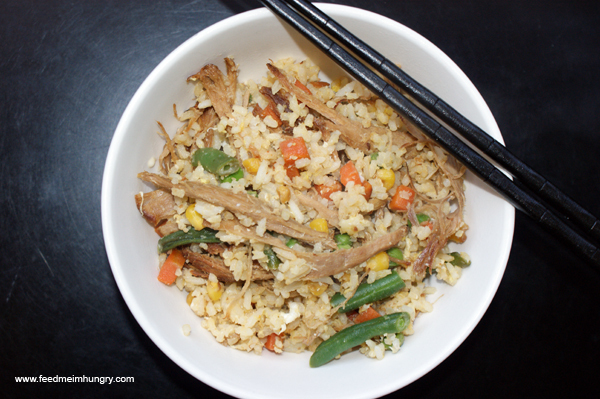 This is super yummy as is and is very adaptable for picky eaters. Choose any topping you like to replace the roasted red peppers. Subsitute a baking sheet for a pizza stone if necessary. 10 Minute Homemade Basil Pesto, from Practically Functional. This is a pretty straight forward pesto recipe. It’s easy but super tasty. You can boil some pasta of your favorite shape while you make the pesto. Toss it all together and your done! If you want to make it a little healthier, steam your favorite veggies in the microwave and toss it in with the pasta and pesto. BTW the story mentioned above is 100% true. I love pesto! I made a spinach pesto in my ninja that was DELICIOUS! I don’t know why I’ve never made relagur pesto, I think you’re inspired me.